At Fasan Florist, we compete strongly with the finest designers, retailers and service providers around the world in the areas of design, service and presentation. We strive to provide our customers with the highest standard of quality in product, design, service and presentation while never forgetting value. 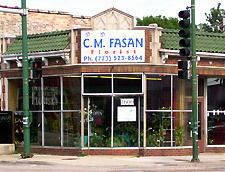 Fasan Florist was opened in Chicago by Charles M. Fasan Sr. in 1924. To this day, the shop has been family owned, operated and serving Chicago and its surrounding suburbs with pride. In 1960 Charles M Fasan Jr. took over the shop when his father passed away. Charles (Jr.) carried on the tradition of exceptional customer service with an emphasis on a quality product at the best value that would lead Fasan to success in the future. After owning the store for 40 years he decided to retire and relinquished it to his son Charles M. Fasan, who is the current owner. Charles (Mick) has taken the store to new levels of quality and service with each day and every order. We are currently in our third generation of ownership and are happy to have the fourth generation, Maggie Fasan, join in our success. She has brought her knowledge and commitment to help the family business continue to grow. 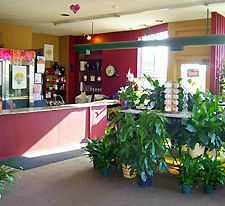 Fasan Florist has grown to be recognized as a leading florist in the Chicagoland area. We have helped people in celebrating weddings, 100th anniversaries, and many more events. We believe in exceeding customer expectations. We custom select flower shops in cities across the country with the highest qualification and capabilities to satisfy the most discriminating customer. Most florists we affiliate with have been personally selected to serve on our "Preferred Florist" list that we refer to when sending orders that are not in our delivery area. You can rest assured when you place an order with Fasan Florist, our satisfaction guarantee is always included. Once you place your first order with Fasan Florist, we maintain any special information and all addresses of your recipients for your future use. Next time, all you need to do is make a selection and give us a name! Easy as that!